Hi all, when i try to print with the second extruder only, the printing start always with the extruder 1 selected. I have to always change manually the extruder from 1 to 2 in the "manual Control" menù. Most likely because slicer does not know about it and just not adds a T1 in the gcode to switch. and the correct extruder become hot (T1). I have to select manually the extruder 2 then all proceed correctly. 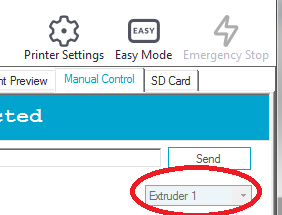 In CuraEngine you can only use extruder 2 if you also print parts with extruder 1! The second stl is assigned to second extruder so ther emust be a first stl for extruder 1 as well. Could not get it to do without. I understand, my need arises from the fact that I have an extruder of 0.4 on the first extruder and one of 0.6 on the second extruder on a chimera. To print at 0.6 I should remove the nozzle every time. It would be convenient to be able to choose. 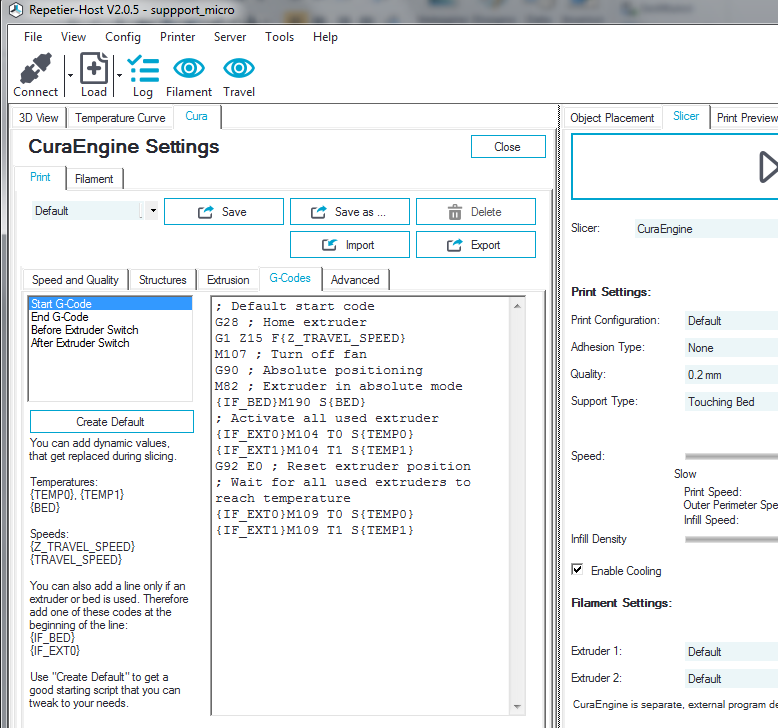 as i have same situation i just edit the g-code file in repetier host and just use the search /replace function. search for T0 and replace it by T1.